It’s hard to beat London for an action-packed family break. 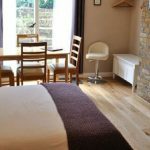 Self-catering East Central London apartments will make your city visit miles easier than staying in a hotel. Cook the family breakfast in the morning. Then head out to explore the sights and sounds of London. London has a fascinating history and museums can be found all over the capital. One of the most unusual ones, docked on the river Thames, is the HMS Belfast, a WW2 battleship that beings history to life. Just as interesting is the Imperial War Museum, near Vauxhall, which really gives one food for thought. The daddy of them all is the British Museum, where you’ll find everything from the Elgin Marbles to Guy Fawke’s confession. In the evening head to the West End to see a play. Or, if you fancy seeing something by “the bard”, visit Shakespeare’s globe theatre on the South Bank where there are regular performances. Covent Garden is the draw when you’re stomach starts to rumble. For an alternative night out head to Camden, the next big thing on the rock music scene may just be hitting the stage. 196 Bishopsgate offer a range of serviced apartments from Studios up to Two Bedroom Penthouses; and all with no minimum stay! 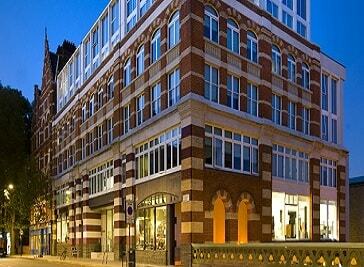 At 196 Bishopsgate you benefit from all the flexibility of a hotel & all the space & freedom of an apartment!! 196 Bishopsgate is located in London's financial district, which is a short hop on the tube from the thriving West End, a mere walk to the River Thames, and a stone's throw from the numerous bars and restaurants of London's fashionable Hoxton and Shoreditch districts. Supercity’s aparthotel in Clerkenwell has 58 luxurious suites in the heart of London which we’re confident you will be happy to call home during your stay. With Farringdon and Chancery Lane tube stations only a five minute walk away, travel to all the major attractions and business centres of central London is incredibly quick and easy. Whether our guests are in London on business or holiday, they offer contemporary furnishings, spacious rooms and fully equipped kitchens, so you have the option of cooking in the comfort of your own home-from-home. Their contemporary apartments are stocked with essentials like tea and coffee, plus little luxuries like iPod docking stations. 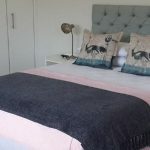 So whether you’re staying for a weekend, a month or as a routine booking, they can happily and easily cater to families, groups and corporate clients.